Uses/good for- Peppermint can help with alertness (so don’t use before bedtime). It is also useful for hot flushes as it has a cooling effect. For similar reasons, it’s useful for hot and tired feet. Digestive discomfort can also be eased with Peppermint oil. Uses/good for- Rose oil is especially useful for issues of the female reproductive system as it has a regulating effect. It is also an effective anti-depressant, especially when the emotions are linked to female sexuality or relationship issues, or post-natal depression. Rose oil is also helpful for skincare, especially mature or dry skin. Uses/good for- Calming and relaxing, and helps with sleep. This oil is also good for respiratory problems, bronchitis and coughs. Sandalwood oil also helps people move on emotionally, and cut ties with the past. In celebration of Aromatherapy Awareness Week I’m offering 20% off all massages booked between the 11th and 16th June, including vouchers. Just message me or ring me on 07790761702. Uses/good for- Especially useful for anxiety, and calming the nervous system. Also useful in the treatment of stretch marks, scarring and thread veins, for PMT, and for digestive problems. Neroli can also be useful for helping with sleep problems. Uses/good for- Helps to deepen the breathing, so a useful rub for asthma. This also helps speed the healing of wounds, and is often found in anti-aging preparations. Frankincense can also be useful to help people cut ties with the past and move on. 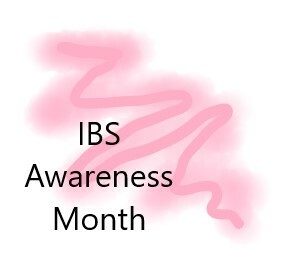 April is IBS Awareness Month, which is a condition which affects an estimated 10%-15% of people, causing symptoms such as stomach cramps, diarrhoea, constipation and bloating. Causes are not always known, but sufferers can find their symptoms get worse in particular circumstances, for example if they eat particular foods, or they are stressed. It is a lifelong problem, but can often be controlled by diet or medication..
Massage and aromatherapy oils can also be used to help the symptoms, for example peppermint and chamomile essential oils can help ease the discomfort, and massaging the stomach can be beneficial. Both massage and essential oils are also helpful in reducing stress, which can be both a cause and consequence of IBS symptoms. If you’d like more information the IBS Network offer support, and discuss a range of other self help options, and NHS Choices is a useful resource too.